This term Division 5 and students explored entrepreneurship and social responsibility through a program called Power Play. We worked hard and had fun exploring the business world through real-life career experiences. First, we created realistic business plans and learned how to design our own products by conducting market research. Then, we set our prices and put our plans into action. We are looking forward to participating in the Young Entrepreneur Show, which will be held on December 7, 2012 in the Gym. A portion of our profits will be donated to charity. What is Genius Hour? Perhaps you’ve heard students talk about it? Genius Hour is an opportunity for students to learn things that they are interested and passionate about. 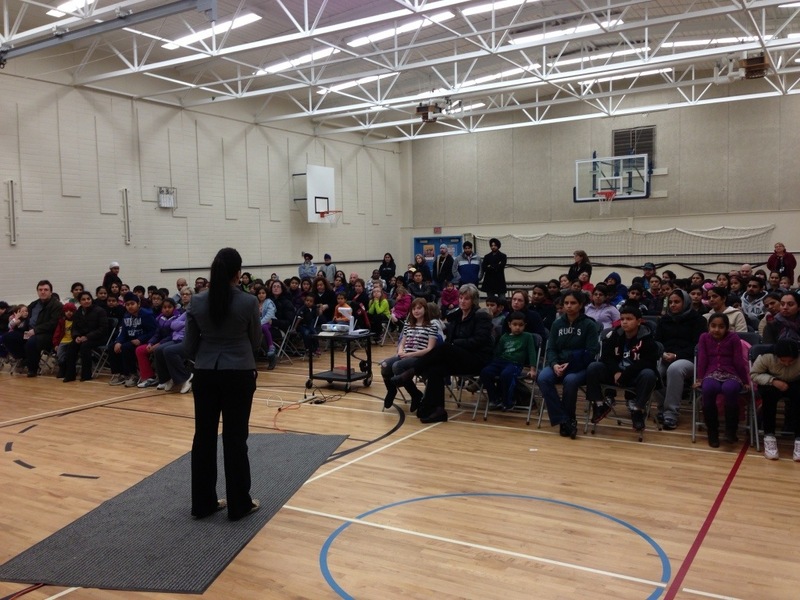 Genius Hour currently takes place in several classes at Georges Vanier elementary school. Read a great blog by Gallit Zvi on Genius Hour. Students in the Library Learning Commons are exploring different styles of illustrations in picture books. They will be sharing their learning using the iPads and the Pic Collage app. Kindergarten students have been practising their letter recognition by exploring Alphabet 4 Kids and intermediate students having been blogging their bird research. Kindergarten students exploring learning apps. 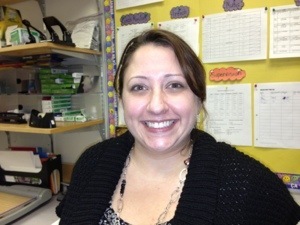 Welcome to Holly Dickinson who will be teaching in Ms. Murtsell’s K/1 class for the remainder of the year. If you get a chance, stop by and welcome Ms. Dickinson to the Vanier Community. Welcome too, Lynda Scott, from Food Services, who makes sure our student’s are fed through our Breakfast Club and Lunch Program. Our Breakfast Club is open to all students, free of charge, every morning starting at 7:45 AM. It’s a great way to start the day. All you need to do is show up. If you are interested in having your child participate in the lunch program, please see the office for details. We also welcome, Education Assistant, Michelle Packer, who has been working in Ms. Williscroft’s class for the past few weeks. We also say goodbye to several staff members. Goodbye to student teachers Patrick Reynolds, Sarah Michel, and Sally Song (above) who have been teaching and learning in Becky Copeland, Galli Zvi, and Francoise Rempel’s classrooms, respectively. We wish you well as you continue on your journey of learning. Finally, we say goodbye to ABA support worker, Katie McKenzie, who has been assigned to a new position in the district. 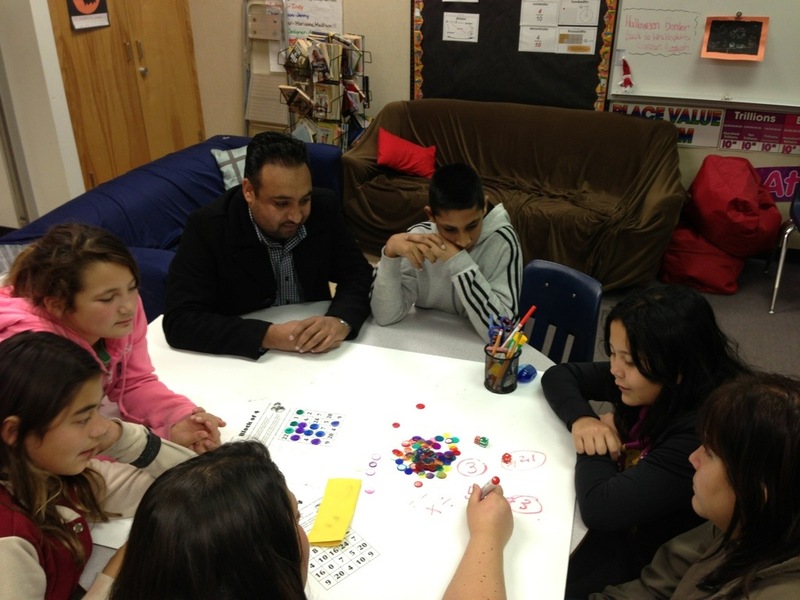 Family math games night took place on the evening of November 22. 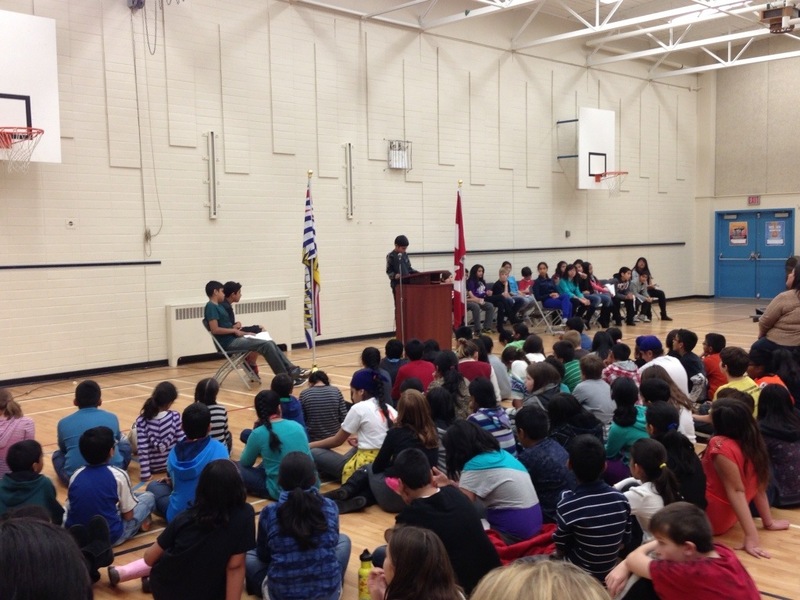 Thank you to all parents and students who attended this great event. We hope that you left with ideas of how to make math fun and interesting through the use of games. Sometimes, all you need is a pack of cards or some dice. If you need any further ideas regarding support in math at home for your child, do not hesitate to contact your teacher at the school. Thank you staff members for the great support you showed for this event. Families have fun learning math games together. 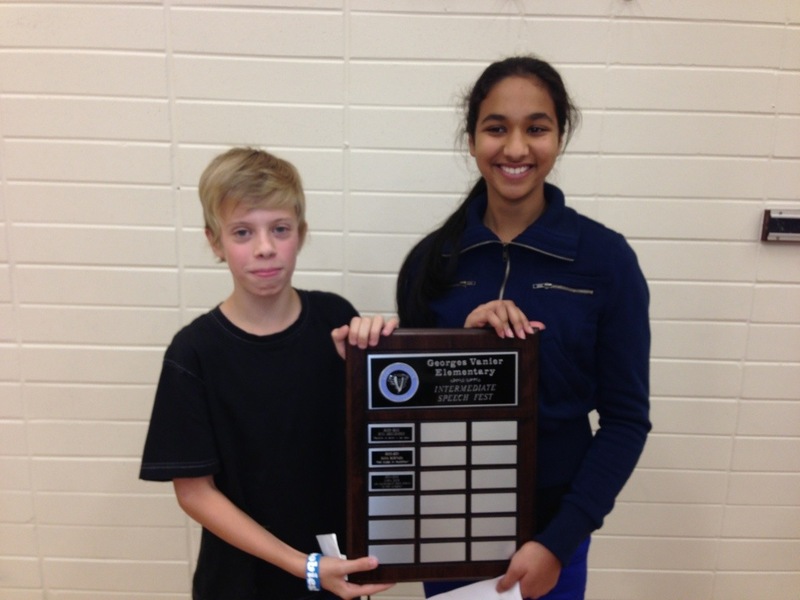 Special congratulations to the speakers judged to most effectively communicate their message: Hunter A. and Harjit B. Thank you parents for your support of our PAC fundraising efforts. Our Savearound coupon book fundraiser was a great success and raised $1600 for our PAC. Poinsettia orders are due this coming Tuesday, November 27. Poinsettias will be delivered on Wednesday, December 5, at 2:30 PM. If you ordered food through the Dessertco fundraiser, your order will be ready to be picked up at 2:30 PM on Monday, December 3. The next PAC meeting takes place on Tuesday, December 4, at 9:00 AM. Hope to see you there! Report Cards are just around the corner, but there should be no surprises if you’ve kept in regular contact with your child’s teacher. Touching base weekly with your child’s teacher ensures that you know exactly how well you child is progressing. Reports will come home with your child on Tuesday, December 11th. Student are dismissed early on Thursday, December 13th (1:27 p.m.) for Parent Teacher Conferences. Here is some valuable information that will help you make the most of your meeting. Click here for this information in Punjabi. Mrs. Scheller is working hard with students to prepare for our upcoming Christmas Concerts on Wednesday, December 19th. There will be two shows – at 1:00 p.m. and 6:30 p.m. Tickets will be $2 each with special $5 being offered that will put you in a draw to have FRONT ROW SEATS. Ticket order forms will come home with children soon. See you at the Concert! November 28-Boys volleyball Playday at 12:45 p.m.
November 29-Girls volleyball Playday at 12:45 p.m.
November 30-PAC Popcorn day…Assembly at 1:45 p.m.
December 3-Dessertco order pick up at 2:30 p.m.
December 4-PAC Meeting at 9:00 a.m.
December 5-Poinsettia order pick up at 2:30 p.m.
December 19-Winter concerts at 1 and 6:30 p.m. 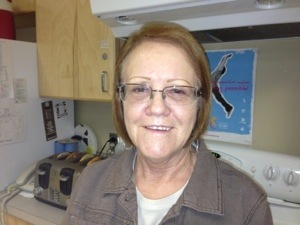 This entry was posted in Vanier News and tagged georges vanier, vanier news. Bookmark the permalink. the pac meeting times should be in the evenings. If you want more parents to participate you need to consider those who work or have small children. you are losing a majority of people who want to be involved in their childs school life. Thanks for this feedback. We have experimented with both times (morning and evening) and you make a good point about the morning times not working for everyone. For the past few years, for those parents stepping up to take on executive roles, morning has worked better. However, I have been contemplating running a ‘parallel’ evening meeting the same day as the morning meeting so that all the same content covered in the morning can be shared in the evening. This would also give parents an opportunity to share their input. What are your thoughts? Again, thank you for sharing your feedback! Regards, Antonio Vendramin.